Reports today note that a New York natural gas company and Pennsylvania natural gas company are at odds over the distribution of natural gas to residential and business consumers in Susquehanna County Pennsylvania. Both companies are trying to capitalize on the Marcellus Shale gas boom taking place it NEPA and elsewhere throughout the state. Proponents of natural gas drilling have predicted that competition from companies would occur and would benefit users with lower gas prices. The right to distribute natural gas by the two companies is being reviewed by the PUC. 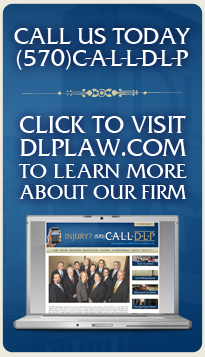 The 13 trial lawyers at DOUGHERTY LEVENTHAL PRICE LLP–DLP—PENNSYLVANIA GAS TRUCK, AUTOMOBILE, GAS DRILLING RIG AND EXPLOSION ACCIDENT LAWYERS—-continue to follow this and other gas drilling stories in NEPA and Central Pennsylvania. Republican legislators in Harrisburg continue to push for elimination of local control through traditional zoning laws and regulations of the location of drill rig pads in city, towns and boroughs throughout the Marcellus Shale in Pennsylvania. Although local zoning has controlled municipal planning for decades of all businesses, the Republican leadership is seeking to carve out exceptions for the natural gas industry. Under proposed legislation local towns that enforce zoning laws would not receive funding from taxes (or “impact fees) imposed on gas drillers per gas drilling rigs in a town. The new law would give authority to the State Attorney General over where a drilling site can be located. Many residents, both Republican and Democrat are protesting the proposed law. Today’s Marcellus Shale news includes the Republican dominated Legislature in Harrisburg failing to reach a compromise on major tax and regulatory legislation affecting Marcellus Shale natural gas drilling companies but passing noncontroversial legislation requiring signs to spell out the GPS location of drilling pads and drilling rig sites. With primary elections only months away, and even the most conservative constituents calling for taxing and regulating of gas drillers in light of service cuts and local school district tax increases, the Republican Senate and House leaders are calling for Governor Corbett to alter his pro gas industry no tax/no regulation policies and reach a compromise quickly avoiding campaign issues. Additionally, DEP officials announced the proposed construction of two (2) deep well fracking waste water disposal sites in Warren County. Deep well disposal sites recently came under scrutiny after earthquakes near deep well disposal sites occurred in Youngstown, Ohio. Finally, Pennsylvania electric producers are pushing to take advantage of the Marcellus Shale natural gas boom in Pennsylvania and are moving to switch from coal dependent to natural gas dependent electrical generation plants. The electric companies are hoping to lower the cost of electricity for Pennsylvania residential and business consumers. Natural gas drilling industry leaders have predicted this positive development for Pennsylvania consumers for some time. The (13) trial lawyers at Dougherty Leventhal Price LLP–DLP—PENNSYLVANIA TRUCK ACCIDENT AND AUTO ACCIDENT CATASTROPHIC INJURY LAWYERS—contnue to follow these and other natural gas drilling rig issues in NEPA, Central and elsewhere in Pennsylvania including Lackawanna, Luzerne, Wyoming, Sullivan, Susquehanna, Bradford, Tioga, Potter, Cameron, Clinton and Lycoming Counties. The price of heating using natural gas in Pennsylvania has plunged. Thanks to the mild weather and Marcellus shale natural gas boom, the price of natural gas used for home heating and in diverse manufacturing businesses has fallen over thirty five (35) per cent. Industry leaders look for more savings as additional gas drilling rig sites come on line and the availability of locally produced natural gas increases for Commonwealth residents and businesses. Although the Marcellus Shale natural gas drilling boom and resulting gas pipeline construction has been ongoing for years, Pennsylvania joined Alaska as the only states without state managed and trained pipeline inspectors. After an investigative series in the Philadelphia Inquirer pointed out the lack of inspectors, legislators in Harrisburg rushed through a bill giving DEP the right to hire and train inspectors to protect citizens from pipeline accidents. Reports today note that the limited number of state inspectors are receiving training and should be on the job in the near future. Critcs claim the number of inspectors and funding by the Governor’s office is too little and too late. Gas pipeline officials note that there have been no reported incidents and that new pipelines are being constructed with modern safety techniques including x-rays of all or most welds. The trial lawyers at DOUGHERTY LEVENTHAL PRICE LLP–DLP—continue to follow this and other gas drilling rig issues as they represent serious and catastrophically injured citizens in auto, gas truck, drilling rig, quarry blasting and other accidents throughout the Marcellus Shale regions of Northeastern and Central Pennsylvania and the entire state. News in and around the Marcellus shale natural gas drilling region continues to mount at a staggering rate. Stories today include a push by Pennsylvania’s top government officials, including Senator Bob Casey to encourage Shell Oil and Gas to build a huge natural gas processing plant in Pennsylvania. Additionally, today is the last day for public comment on the pending natural gas drilling regulations in New York. Other reports note a fracking liquid spill caused intentionally by vandals in Bradford County; a pipe line easement deal on a rails to trails project in Susquehanna County and reports of significant positive hotel and airport usage increases throughout Northeastern and Central Pennsylvania. The thirteen (13) trial lawyers ant Dougherty Leventhal Price LLP–DLP–PENNSYLVANIA CATASTROPHIC ACCIDENT LAWYERS–continue to follow these and othe natural gas drilling issues throughout the Marcellus Shale Regions of Pennsylvania and New York. Michael Krancr, chief DEP regulator for Pennsylvania, accused the federal EPA of having limited and basic knowledge of the natural gas drilling “fracking” process in a letter directed to EPA officials. The allegations arose over EPA involvement in an ongoing dispute over well water contamination caused by natural gas drilling rigs in Dimock, Susquehanna County, Pennsylvania. DEP has cleared Cabot Gas of wrongdoing and approved the drinking wells as safe for human consumption. EPA recently became involved and has questioned the water safety findings and has hinted that it will approve delivery of drinking water to the affected residents. The thirteen (13) trial lawyers at Dougherty Leventhal Price LLP–DLP–PENNSYLVANIA CATASTROPHIC ACCIDENT AND INJURY LAWYERS—continue to follow this and other issues in the Marcellus Shale natural gas drilling regions of Northeastern and Central Pennsylvania while representing clients involved in gas truck, drilling rig, blasting and explosion accidents.